Turkey underwent a very ambitious reform programme in 2003, the so-called "Health Transformation Programme". Access to healthcare in Turkey has greatly increased with the attainment of Universal Health Coverage, as also demonstrated by improvement in health outcomes, most notably around maternal and child health and infectious diseases. However, despite these significant achievements, Turkey has a significant way to travel to deliver high-quality health services to its population. Governance of the health system is highly centralised and typified by directive control from the Ministry of Health, and information collected in different part of the system is not always fully exploited.The OECD Review of Health Care Quality in Turkey recommends a number of changes to address these shortcomings. 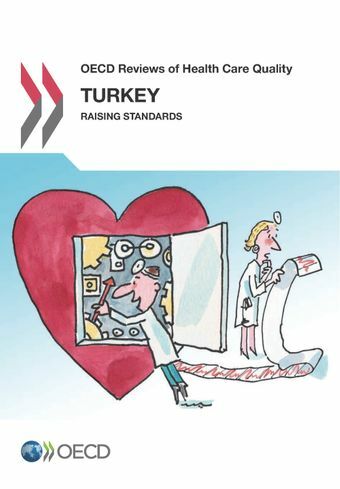 The key recommendations are that: i) Turkey needs to develop robust systems to standardise and monitor the quality of care, encourage continuous professional development and incorporate patient views; ii) some loosening of the governance structure would be welcome, to allow regions greater flexibility to assess and respond to local health needs and to continue to provide health workers with incentives for improve quality; iii) data on health sector activity and outcomes need to be made more available and more usable for individual patients and clinicians, while greater effort is needed to increase the robustness of Turkey’s information systems at national level and harmonise performance measures to OECD and other international comparators. Strong central leadership was critical to the success of Turkey’s Health Transformation Programme. In a maturing system, the role of the central authorities can now shift to setting out broad system goals, getting the right incentives in place and enabling local service providers to meet those goals. Most data in the Turkish health system largely focuses on supply and activity. Now that UHC has been achieved, governance focussed on quality and outcomes must become the priority. Open comparison of service-level data should be promoted, to drive up quality standards and reduce variation. Current quality assurance activities tend to focus on minimum standards.To build a quality culture, the focus of on-going reform should move from one of control and penalising bad performers to one of encouraging continuous improvement. Greater involvement of patients and their carers will be instrumental in delivering safer, more effective care. Payment and incentive structures focus on quantity and productivity enhancement. This may risk ensuring that care is delivered in the most appropriate settings. Stronger primary care, and guidelines that cover the entire patient pathway, will be vital to ensure sustainable, high-quality and patient-centred care.